Established in 2000, On-Target Grinding and Manufacturing, Inc. is providing solutions to your small-to-medium run milling, turning and grinding needs. With over 3 decades of experience in the job shop industry, we will handle your job with the skill and precision it requires. Vertical Machining Center 30″ x 30″ x 60″ capacity. This machine can acomplish 5 sided machining through the use of our BENZ Right Angle Heads. CNC Knee Mill 14.5″ x 58″ Table capacity. Equipped with an advanced Mach Motion control, this very flexible machine is great for second operations and toolroom work. 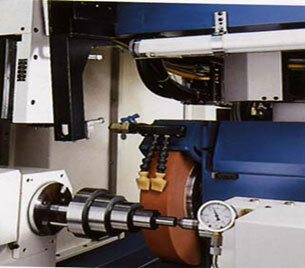 CNC Turning Center 18″ diameter by 43″ length capacity. With 40 horsepower and 4.13″ hole through the spindle, this robust turning center makes short work of large turned parts. 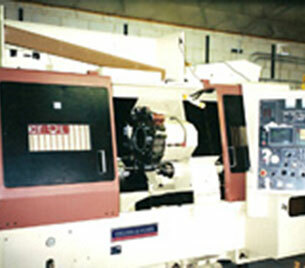 CNC Roll Lathe 16″ swing over cross slide by 160″ between centers capacity. Converted from a late model precision lathe, this machine can machine journals and rough turn roll diameters with speed and precision. 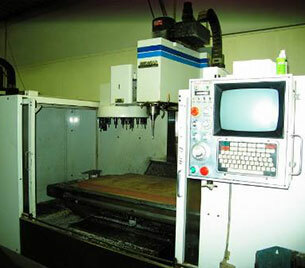 Colchester CNC Lathe 9″ swing over cross slide by 45″ between centers capacity. This 10″ chuck machine handles smaller work very well. For solutions to your outsourcing requirements please call (708) 418-3905. You can fax your quote request to (708) 419-3906, or use the contact form to submit your request. We will give your inquiry prompt attention.